Exactly 152 years later, students and community members gathered at the Oregon Capitol demanding this promise be fulfilled. 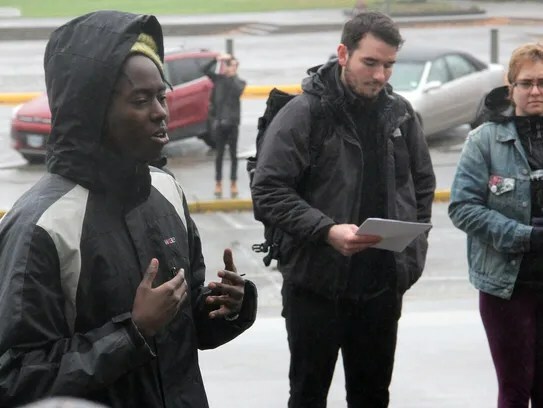 More than 50 people went to the Capitol on Thursday to speak to the Governor about racism in the United States, especially concerning current events in Oregon dealing with discrimination against people of color. 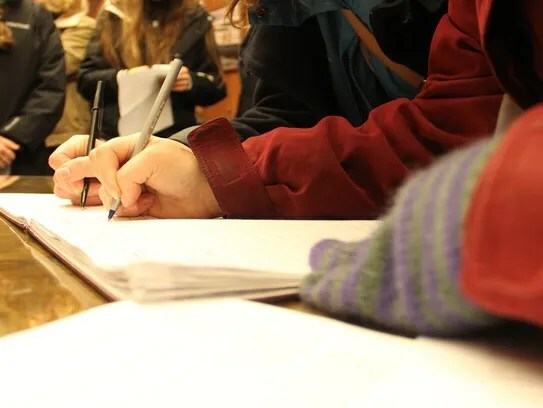 Earlier in the week, some people at Lewis & Clark College anonymously posted threats targeting black students, using the location-based smartphone app Yik Yak, and attempted to introduce the hashtag #BringBackSlavery. Other students from the college refused to stand by. Ryan Seed, a junior at the college, said students shouldn’t have to be at the Capitol demanding these things, that this is progress that should have already been made. 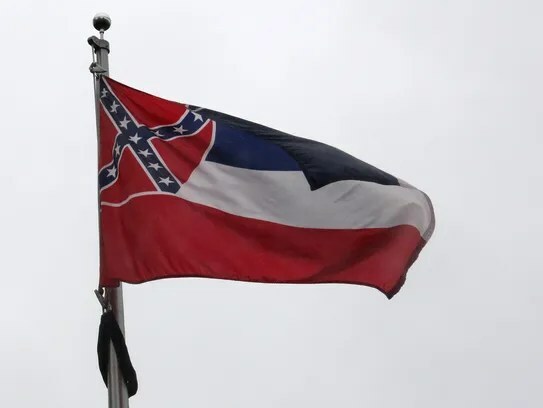 In addition to calling on United States and Oregon governments to “recognize a responsibility to eradicate racist threats on campuses across the nation,” the group also called for the governor, a Lewis and Clark law school alumna, to remove the Mississippi flag from the Oregon Capitol grounds. The protesters presented the Governor’s office with a petition to take the flag down, along with a letter addressed to the Governor and many other Oregon law makers and officials. “The flag is an exclusive symbol of racism and exclusivity,” Davis said. He added that while there are many other racist symbols still present today, this is one officials can address now. The group walked to the flag and then made their way inside the Capitol, chanting around the rotunda, their words echoing loudly throughout the building.